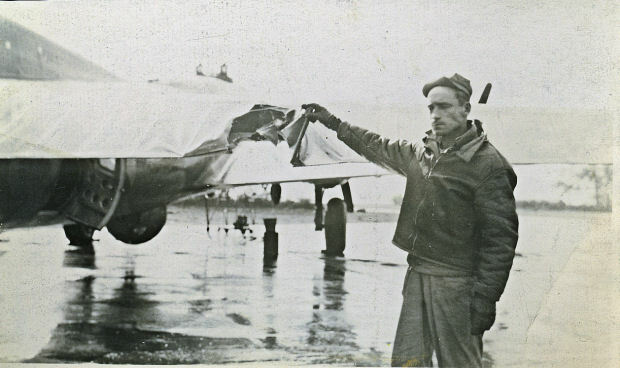 Sgt Elmer W. Roesner with Thunderbird. He wrote: "Caught hell that day. Came back on two engines and several holes."